A former member of the Black Panther Party and political prisoner, Assata's words still bring hope & guidance to many in today's freedom struggle. This intensely personal and political autobiography has been and continues to be a landmark text in many young Black peoples' politicization. With incredible wit and poetry, Assata recounts her life growing up and the experiences that led her to a life of radical organizing. On this episode, we interview two young Black women about the ongoing lessons they have learned from Assata. 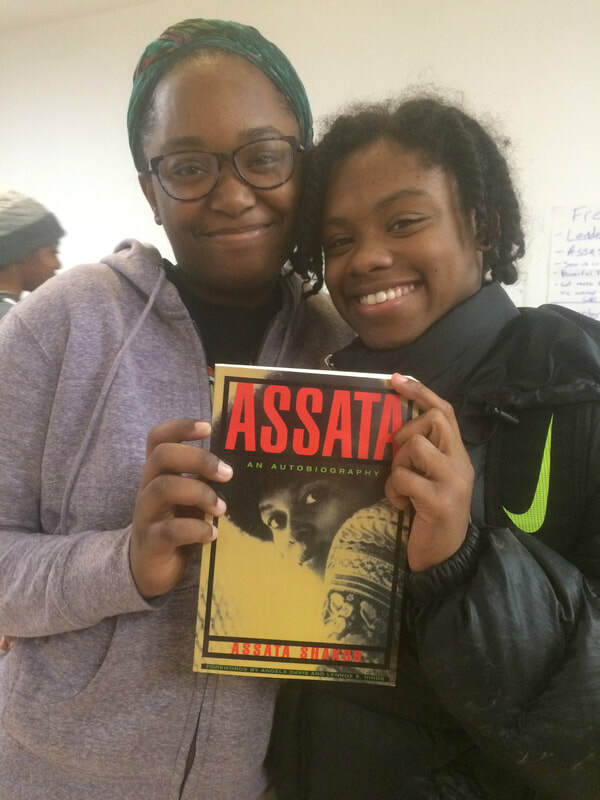 Patricia and Imani are organizers with Assata's Daughters. They are both members in Assata University, a year-long political education program for Black teens in & around Washington Park, and Patricia is a member of the Youth Leaders Circle where she and other teen leaders meet weekly to organize campaigns and projects. What experiences and conditions led Assata to become the revolutionary we know & love today? Where does the "it is our duty to fight for our freedom" mantra come from? What can we learn from Assata's life and struggles to apply to our current movements? Why is Assata a role model to so many?